The 2015 World Netball Championships in Sydney has taken a significant step with the appointment of Netball Australia’s former Head of Commercial, Marne Fechner as the tournament’s General Manager. Including acting-Chief Executive Officer at Netball Victoria, during her decade of experience as a netball administrator, Fechner has held a number of senior and executive positions. 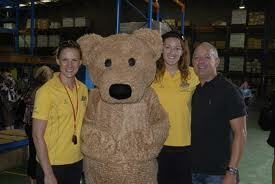 Since 2007, Fechner, Australia netball has doubled its Commercial turnover. Fechner has been instrumental in securing new corporate partners for the sport and has implemented and led a national commercial framework which has seen the national body and eight member organisations work collectively. “Marne has been responsible for a significant shift in the commercial outcomes for netball in Australia over the past six years, and is ready to step up to this role and deliver the best ever World Netball Championships,” Netball Australia CEO Kate Palmer said. Previous post Afcon 2013: Special issue! All the results, all you get to know!